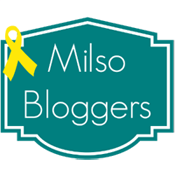 I can't even believe it, but it's time (actually, past time - by a whole week!) 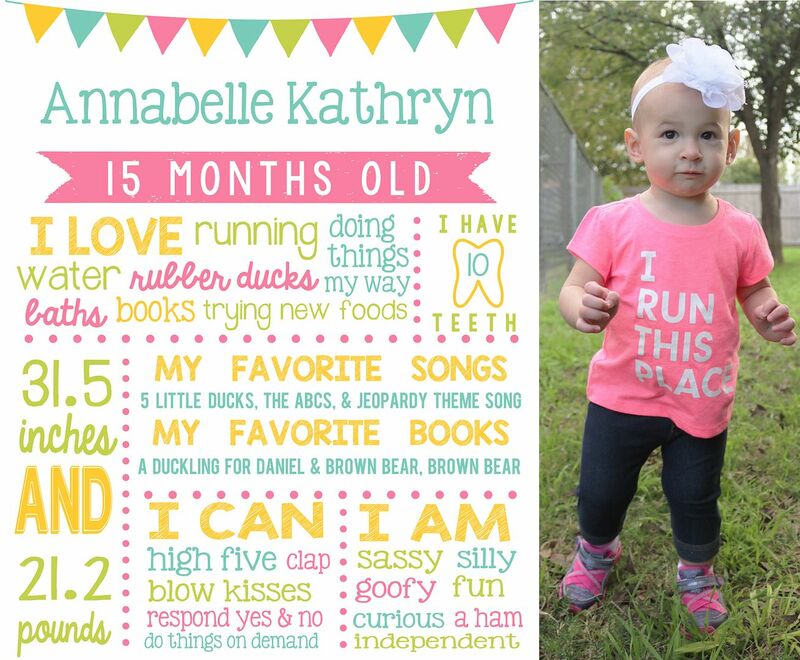 for Annabelle's quarterly update... and she's 15 months old now! She has changed so much and done so much in the short three months since her last update at 12 months old! First things first, let's look at her stats! 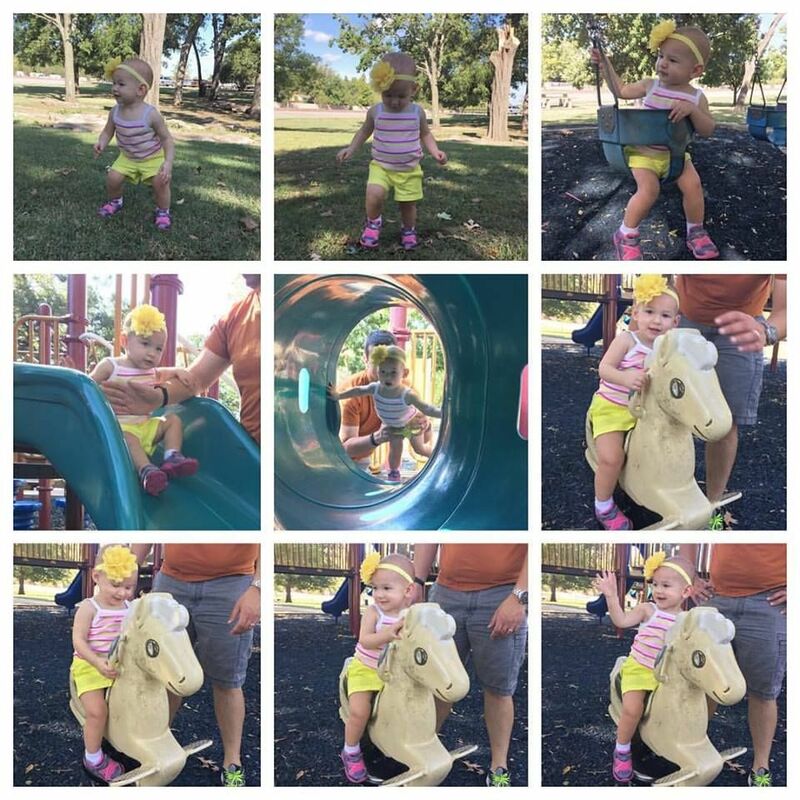 She grew 2.5 inches in less than a month right after her birthday, and she is holding steady at 31.5 inches now... which should put her in 18-24 month size clothes... but wait! Her weight is only 21 pounds... putting her in 9-12 month clothes. Yep, shopping for her lately is proving to be more difficult than in the past. She has ten teeth (four more than at her birthday), including two bottom molars. We're still waiting on the top ones, though. She still loves ducks, books, baths, all things water, eating, being a crazy little girl, and having things HER way or a tantrum! Ha! She is fiercely independent and VERY stubborn (she never stood a chance with Dan and I as her parents). Just the same, however, she is sassy and silly and oh-so goofy! 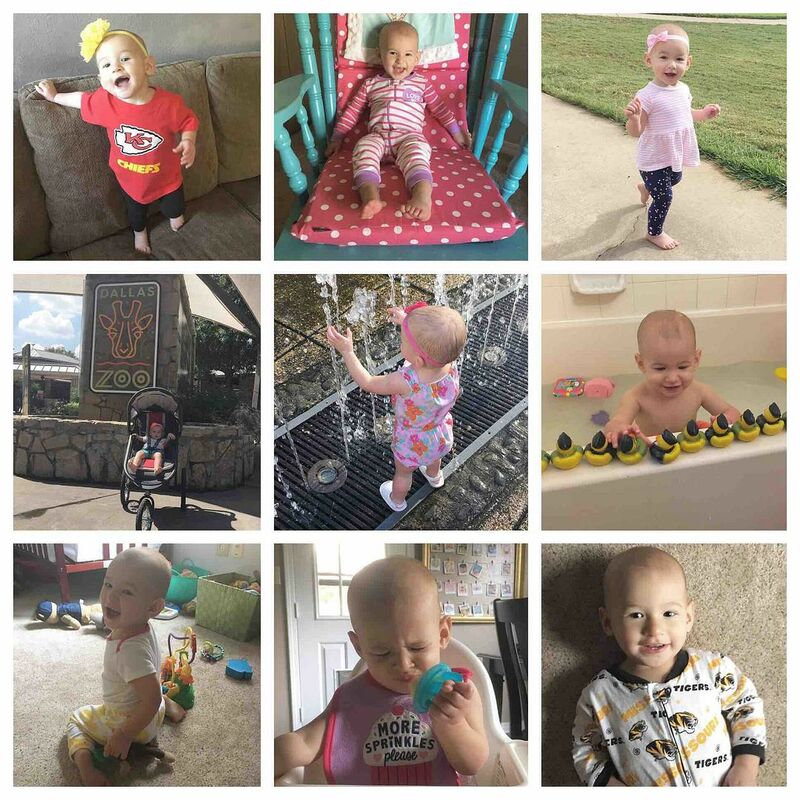 We adore this bright little ray of sunshine in our lives and are having the best time watching her grow into her BIG personality! 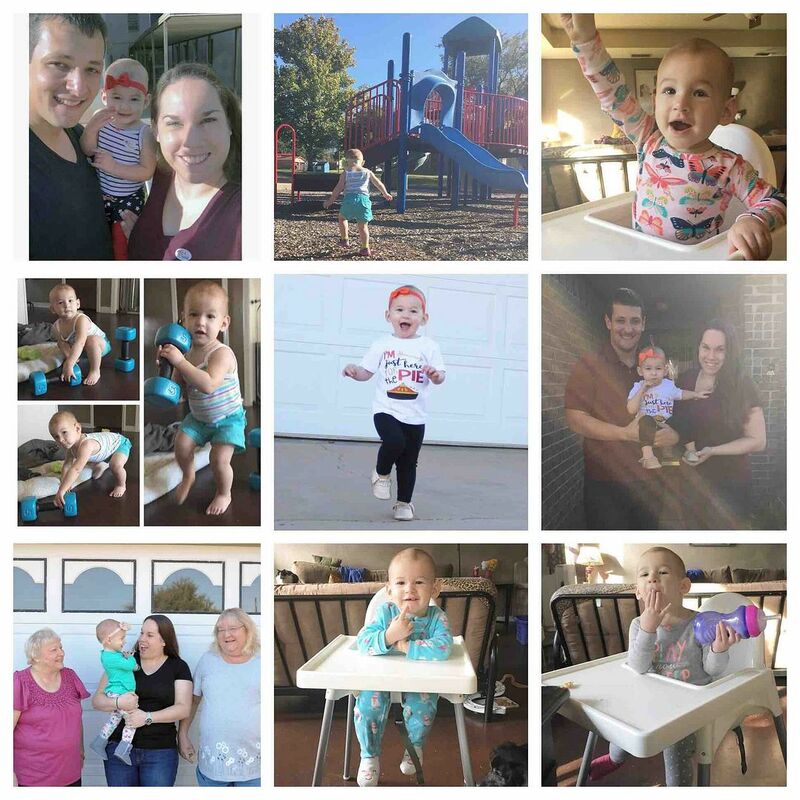 • Kansas City, MO - because Mom was a bridesmaid in a wedding (Megan & Grant), so Annabelle had a couple sleepovers with her Grammy and Great Meme! 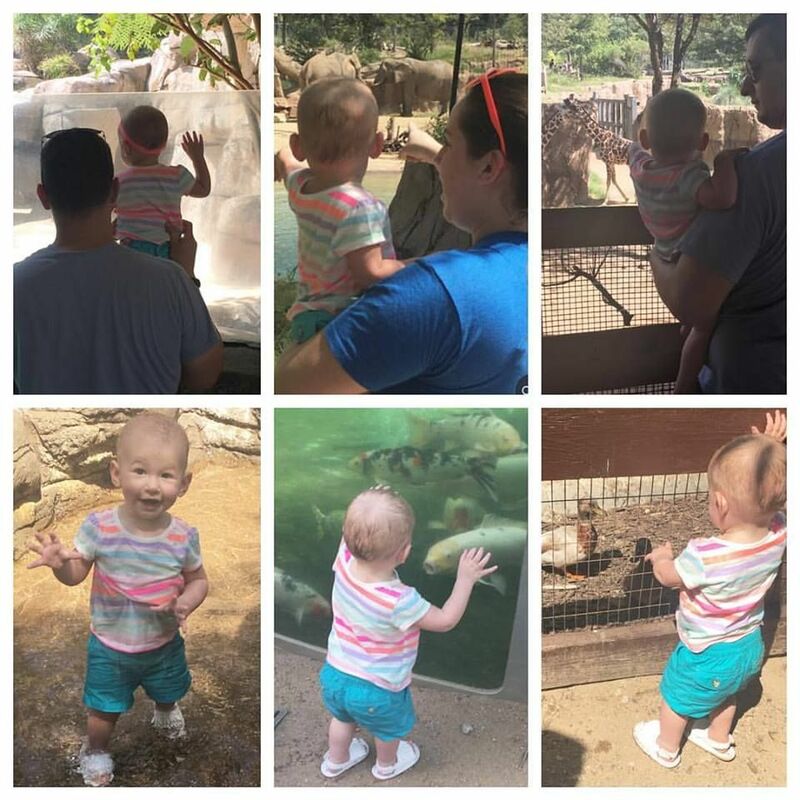 • St. Louis, MO - to see her "Aunt" Michelle and Baby Huxley... she went to her second zoo! 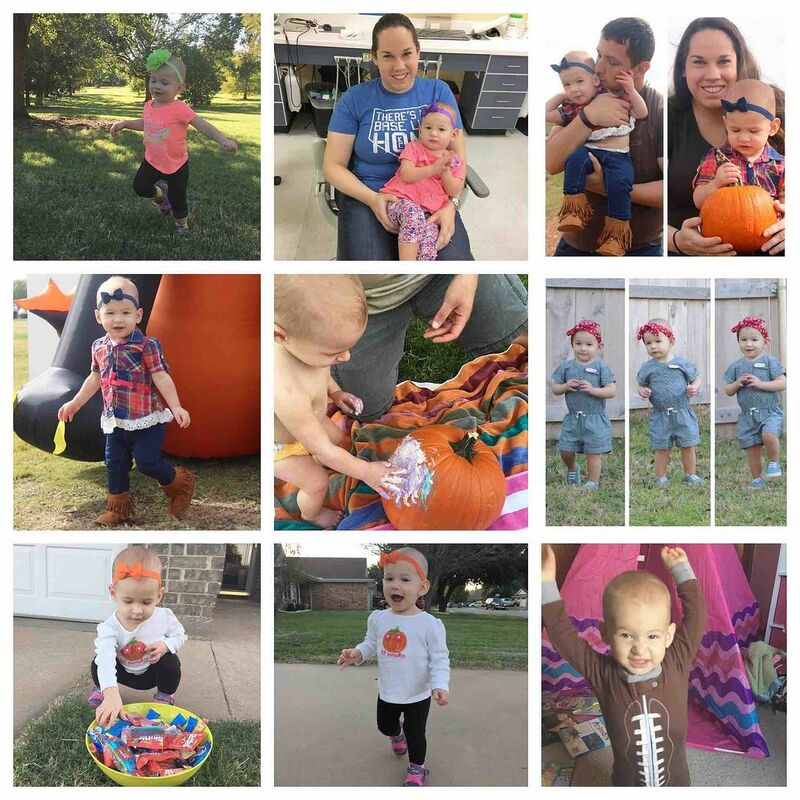 Annabelle celebrated her second Halloween (as Rosie the Riveter), went to her first pumpkin patch, and hosted some of her family for Thanksgiving dinner! 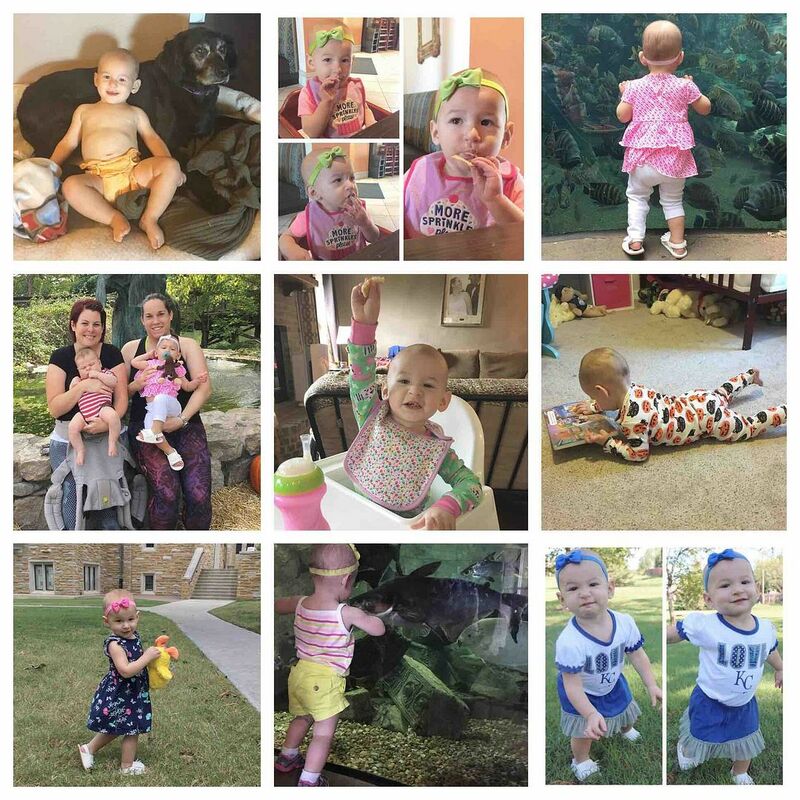 I can't wait to see all the ways Annabelle grows, develops, and changes between now and her next update! 18 months... coming in March!